Orel State University is unique in many ways. It is the only classical university Orel, a member of the Association of classical Russian universities. It is the only institution in the region, which is training on a wide range of areas and specialties of higher and postgraduate education, training, re-training (more than 300). It is the only institution that gives professionals the region most humane professions - doctors and teachers. Combining fundamental classical training with professional practice-oriented, Orel State University - the only one in the region - produces chemists, physicists, biologists, mathematicians and other professionals in the priority areas of science and economy. The University has a rich tradition of training for foreign countries. Over the past 40 years, various forms of training were more than five thousand foreign students from nearly 60 countries. Currently, the university on the basis of interstate and intergovernmental treaties and agreements, and contracts with various organizations and individual contracts trained more than 250 foreign students and trainees. Orel State University was founded in 1931 as an industrial-Pedagogical Institute, which is on September 11, 1996 renamed into the Orel State University. Orel State University is located in the city OREL, distance between Moscow and Orel is 325 kilometers. Orel State University is unique in many aspects. 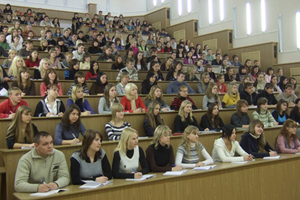 Orel State University is the only classical university who is the member of the Association of classical universities of the Russian Federation and the only educational institution in the region, which provide training on a wide range of areas and specialties of higher and postgraduate education, training, retraining. Orel State University is the only institution that gives professionals in. The University has successfully developed international activities. Continues active integration of Oryol State University in the world educational, research and innovation space. Due to the significant positive changes in all areas of the university has increased markedly the importance of Oryol State University at the international education market and its attractiveness to foreign students. As a confirmation of increased international university status significantly increased the number of foreign citizens from different regions of the world who wish to study in Orel State University. The library is a focal point of study in any educational institution. OSU’s libraries have over 8, 00,000 copies of books. Each student accounts for over 240 copies of tuition literature annually. The library offers a pleasant environment in which to study and with extensive opening hours that include evening and Sundays. All Books are provided free of cost to all students studying in English medium course . Easy access to computers is an essential part of any study program, & the IT facilities at Orel State University are of first class. You can also access internet in the campus of Academy and internet facility is also available in every hostel room for unlimited free downloads. The University is proud of its modern dormitory housing 1100 people . Every section has two Cozy rooms,a kitchen, a shower and a bathroom . The hostel for international students is Located in the very center of the city 30mtr from the University’s main building. Hostel has well Equipped Rooms with all modern Facilities for 3 seated big rooms upgraded comforts, central Heating. Reception, laundry, cleaning & washing personals, reading room, computer hall. Cost of living in Russia can be completely affordable and can also make it a comfortable place to live in.